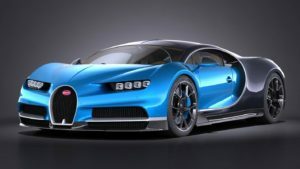 Ladies and Gentleman Fasten your seat belts, turn up your volume and start your engines…..here comes Bugatti’s ‘Chiron’, The quintessential ultimate sports car, ultra-modern, incredibly fast, agile and powerful with a stylistically demanding design and the highest possible levels of comfort. The world’s most powerful, fastest, most luxurious and most exclusive super sports car. Meet the ultimate sports car—The Chiron is aimed at maximum driving performance using fascinating technology to create an incomparable driving experience. Each Chiron is one of a kind – as individualistic as its owners, combined with a ‘Level of Beauty’. The level of individuality that can be achieved is subject to very few limitations. The owners can find inspiration and experience a small selection of the countless possibilities available to customize this supercar. The Chiron is the most modern interpretation of Bugatti’s brand DNA and embodies its new design and language. The styling accentuates the performance aspect of the super sports car. The motto adopted by the Bugatti designers for the Chiron was “Form follows Performance”. Inspired through Bugatti Type 57SC Atlantic the new design language is characterised by extremely generous surfaces, which are demarcated by pronounced lines in the case of the Chiron. Thereby most of these elements have a technical background and have been designed to fully accentuate the growing performance requirements of the Chiron. In order to achieve a 25 percent increase in performance compared to its predecessor, almost every single part of the engine was looked at and newly developed. This feat of engineering resulted in the W16 engine of the Bugatti Chiron being able to develop an unbelievable 1,103 kW (1,500 bps) from its eight litres of displacement. The engine reaches its maximum torque of 1,600 Nm, thanks to the turbocharger, which Bugatti actually developed itself. The 4 turbochargers are now doublepowered and already guarantee maximum torque at 2,000 rpm, and the torque is maintained at this level all the way up to 6,000 rpm. The result is unbelievable acceleration, which only comes to an end in the twilight zone somewhere beyond the 400 km/h mark. Of the learned centaur who mentored Greek mythological heroes or be the Chiron the asteroid with a unique orbit, we have to hand it to this ultimate sports dream on wheels. The only challenge ahead for Bugatti, is bettering what they do best. EE is truly ignited, the superlative beast is in a space way above the rest!